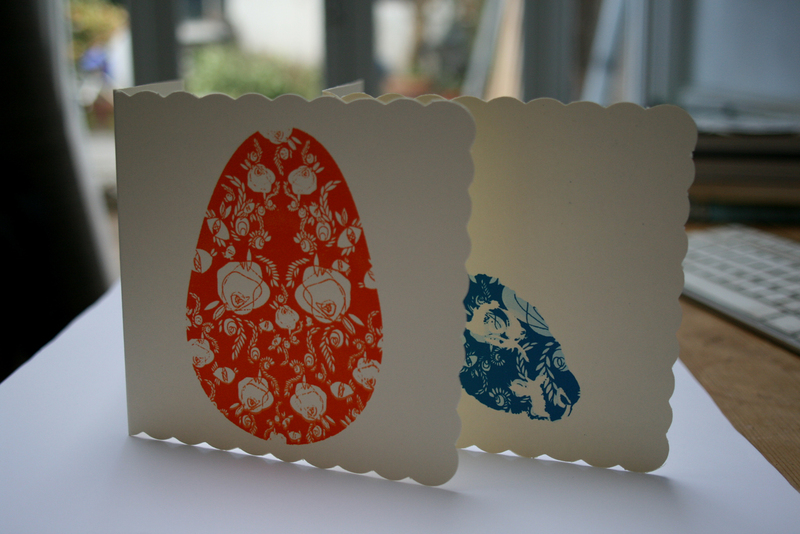 NEW Studio Amour Easter cards, being sold at Papadeli. Papadeli take Easter very seriously there are chocolate eggs of every size and colour, sparkly coloured foil wrap tasty morsels, it is simply overflowing with easter delights. This latest print run consists of 3 designs and a magnitude of colour ways, an Easter hare hides behind a camouflage of flowers, floral easter eggs and a tiny new born chick peeks out from layers of pattern.